Hollywood thrillers and mystery movies are immensely popular around the world. It’s because they often are brilliant in their plot, direction & casting. Every year many Mystery movies are produced with fresh, original plots which absolutely boggle the viewer’s mind. There are also many film adaptations of novels, books, short stories & plays of thriller genre which are widely accepted around the world. Though the thriller genre has many sub-genres such as crime thriller movies, psychological thriller movies, action thrillers movies etc, all of them intend to keep the audiences at the edge of their seats, through the building of suspense, surprise, anticipation, and anxiety. Legendary filmmaker Alfred Hitchcock had dominated the thriller genre with several masterpieces all through the 90’s. 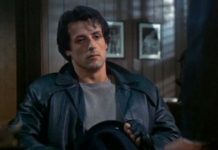 Hollywood has given us many other great suspense thriller movies also which find their place whenever the best thriller movies of Hollywood are discussed. Today we are listing some of them below. We have a huge list of Hollywood Mystery Movies, it was very difficult to pick the best of the Thriller movies of all time, we have devided the films in different category, like Best Action Suspense Thriller Movies, and Best psychological Thriller Movies of Hollywood. Alfred Hitchcock’s 1960 film Psycho set the precedent for modern horrors, psychological thrillers & slasher movies in so many ways. 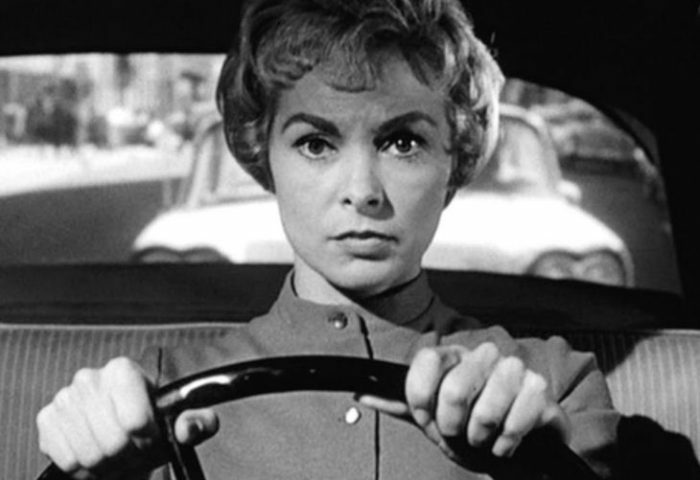 Based on the 1959 novel of the same name, Psycho tells about the encounter between the manager of a secluded motel and a woman who stays there for a night. The aftermath of all that is to follow marks Psycho forever as one of the greatest works by Hitchcock. The 1995 thriller Seven almost set a benchmark for crime based thrillers after it’s advent. It is directed by the thriller specialist Director David Fincher, and starring Brad Pitt, Morgan Freeman & Kavin Spacey. Two detectives of opposite working styles try to apprehend a mysterious serial killer who chooses his victims according to the seven deadly sins. With a gripping plot, powerhouse actors and a twisted ending, Seven leaves the audience in absolute awe. Another Kevin Spacey starrer, The Usual Suspects features other acting delights such as Benicio del Toro, Stephen Baldwin & Gabriel Byrne to name a few. 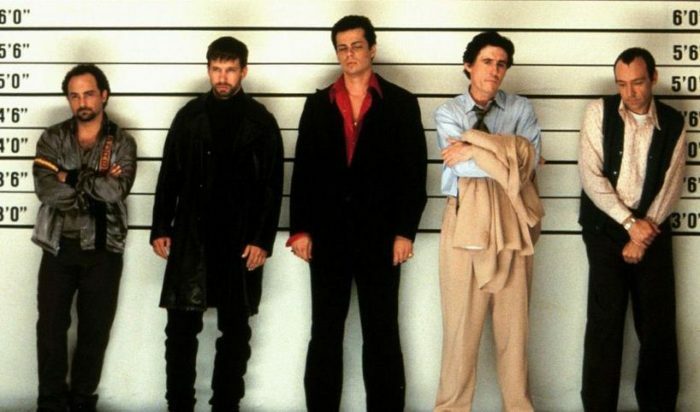 A movie which brought critical acclaim to the now famous director Bryan Singer, the Usual Suspects is the story where five criminals met by chance and plan a grand heist together. A simple plot piled up with layers of twists makes this movie a great choice for repeat viewings. Kevin Spacey bagged an Oscar for the best supporting actor in this film. Christopher Nolan will forever be known as one of the greatest directors of all time. The kind of complicated yet brilliant stories he comes up with can be exemplified by the 2000 thriller Memento. Guy Pearce & Carrie-Anne Moss in lead roles, this is a story about a man suffering from anterograde amnesia, or short-term memory loss if you will. He uses a complex system of Polaroid photos & tattoos on his body to search for his wife’s killer. This movie has a nonlinear narration and unfolding twists throughout, which makes it a recommended one for multiple viewings. 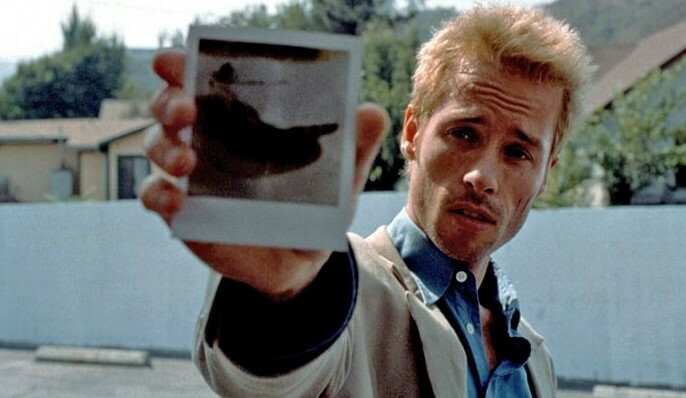 Memento is also considered to be one of the most accurate depictions of anterograde amnesia in the history of movies. Shutter Island is a 2010 suspense thriller Drama Film by legendary director Martin Scorsese, and starring Leonardo DiCaprio, Mark Ruffalo & Ben Kingsley in lead roles. It’s about a U.S. 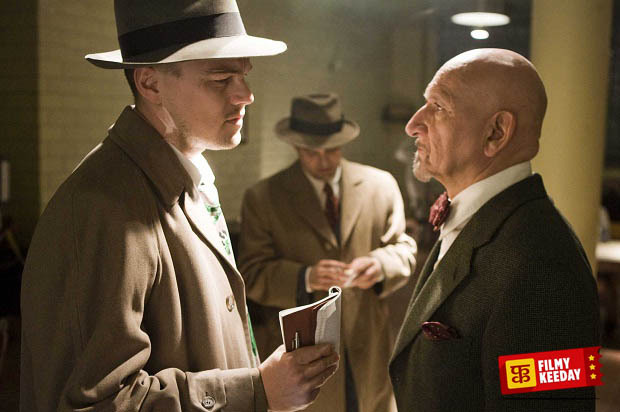 Marshal, who along with his partner investigates a psychiatric facility on Shutter Island for one of the missing patients. And in the process, he uncovers shocking truths about the place, the people, as well as himself. Another Brad Pitt starrer in a David Fincher direction, Fight Club, the 1999 thriller-drama also co-stars Edward Norton. Based on the 1996 novel, this film is about an unhappy white-collar employee forming a fighting based community along with an energetic, youthful & mysterious man. Fight Club is a critically acclaimed film, with equal numbers of likers and dislikers. Nonetheless, it has achieved cult status as a guy-movie and still a favorite one when thrillers are discussed. 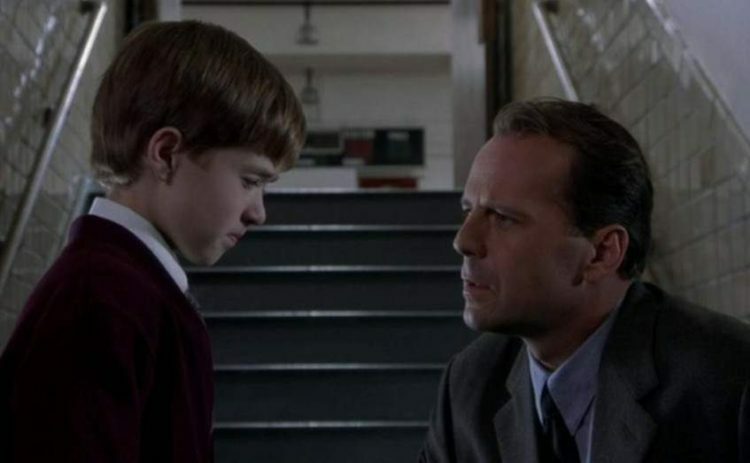 The Sixth Sense is the story of a troubled nine years old who thinks he can see Ghosts and a depressed child psychiatrist who comes forward to help him. This M. Night Shyamalan film stars Bruce Willis & Haley Joel Osment in lead roles. Every scene in this film is full of suspense & a variety of expressions, taking the audiences to an absolute emotional ride. Very rarely a movie touches the audience’s heart as this one, where the viewer feels the plight of all the characters. The Sixth Sense was nominated for six Oscars, with Haley Joel Osment’s performance being the most talked about. 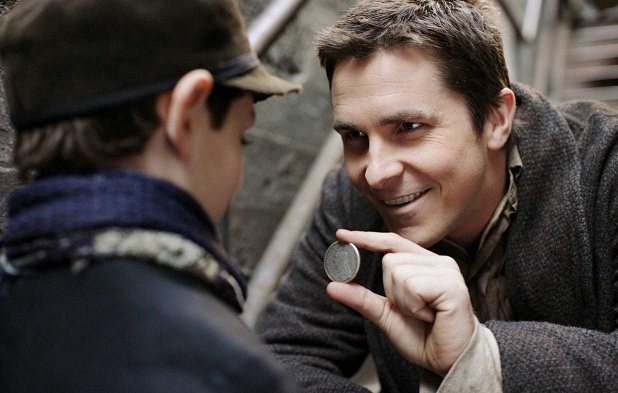 Christopher Nolan created magic again in 2006 with The Prestige. With immensely talented yet eye-candy performers such as Christian Bale, Hugh Jackman, Rebecca Hall & Scarlett Johansson, this film depicts the fierce competition between two rival magicians and how far they go in order to create the perfect magic trick. The prestige is originally based on an award-winning novel of the same name, and also features veteran actor Michael Caine in a significant role. 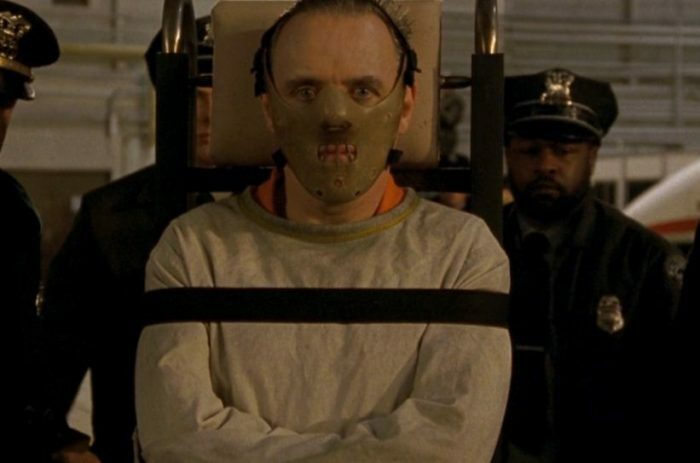 The Silence of The Lambs is one of the rare films in the suspense-thriller-horror genre which was able to bag 5 Oscars including best picture, actor, actress & director. Yet another novel adaptation, it is directed by Jonathan Demme and stars Jodie Foster & Anthony Hopkins. It is about the attempts of a young FBI trainee to pry open the mind of a demented & brilliant cannibalistic killer in order to catch another serial killer who’s on the loose. 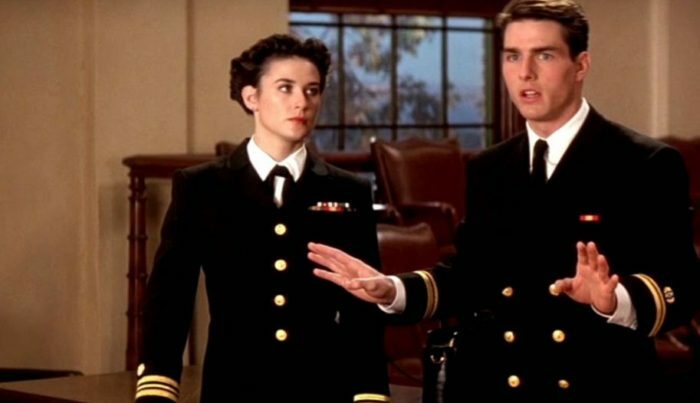 This 1992 courtroom drama film contains a lot of suspense for the thriller genre fan. The story revolves around the trial of two US Marshalls charged with murder of their fellow marine, while the lawyers on both sides deliver a solid fight to win their cases. Packed with solid character portrayal by fine actors such as Jack Nicholson, Tom Cruise & Demi Moore, this Rob Reiner direction is a must watch. 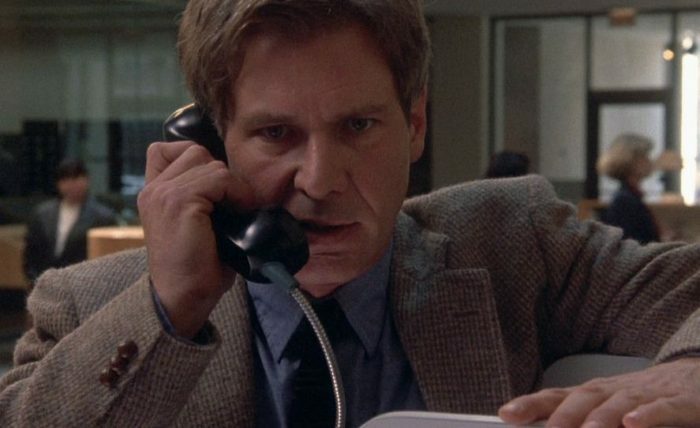 The Fugitive is a chase & escape thriller starring seasoned actors Tommy Lee Jones & Harrison Ford. A man is wrongly convicted for murdering his wife. Now he must prove his innocence while not being caught. Directed by Andrew Davis, this film was a critical & commercial success. Jones also won an Oscar for his role as the best supporting actor. Based on a Dan Brown novel, Angels & Demons is the 2nd installment and a sequel to Ron Howard’s earlier film, ‘Da Vinci Code’. In this mystery thriller, Tom Hanks reprises his role as a Harvard symbologist, who intends to solve a murder and prevent a grand terrorist act. 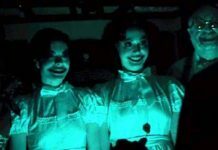 This 2009 film was considered a hit, however, it was not nearly as popular as its predecessor. 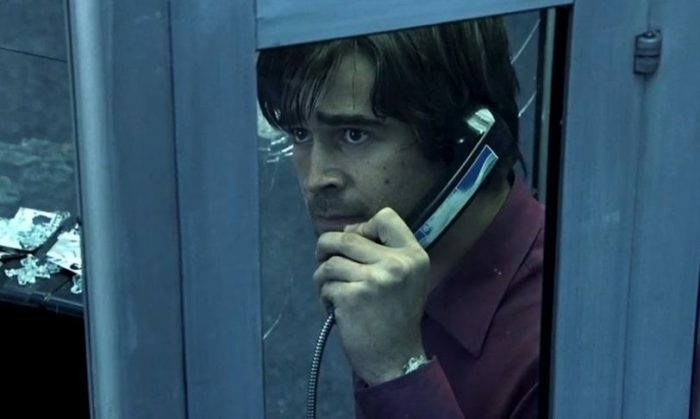 In this 2002 thriller directed by Joel Schumacher, Colin Farrel plays the role of a young publisher who is put in harm’s way by a mysterious sniper. He is stuck in a phone booth, answering and fulfilling tasks for the extortionist, which puts his life in absolute peril. The movie stars other talented actors such as Forest Whitaker, Katie Holmes, and Kiefer Sutherland. Directed by Neil Burger, The Illusionist is the tale of magic and romance. 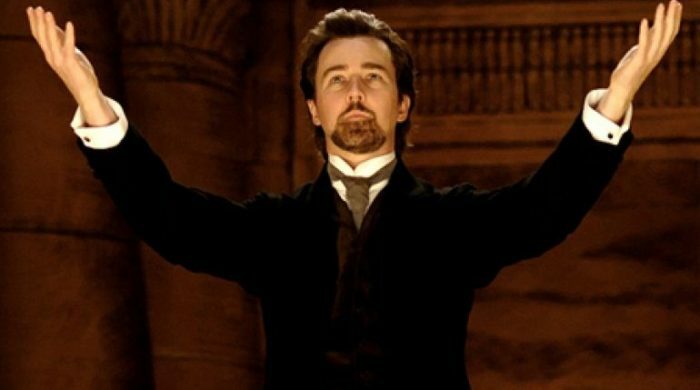 In 1889 Vienna, A magician played by Edward Norton, uses his skills to secure his lady-love who is far above his social standings. Jessica Biel plays the role of the Duchess in this film. The Illusionist was a critical & commercial success and full of suspenseful & light romantic moments. When you take Hollywood’s top actors, Leonardo DiCaprio, Matt Damon, Mark Wahlberg & Jack Nicholson under one roof, that roof could only belong to a directorial marvel such as Martin Scorsese. The Departed is a story set in Boston where the Boston police, as well as the Boston Mafia, put a mole inside the other’s house. And the two moles must figure out the other’s identity before their own cover is blown. 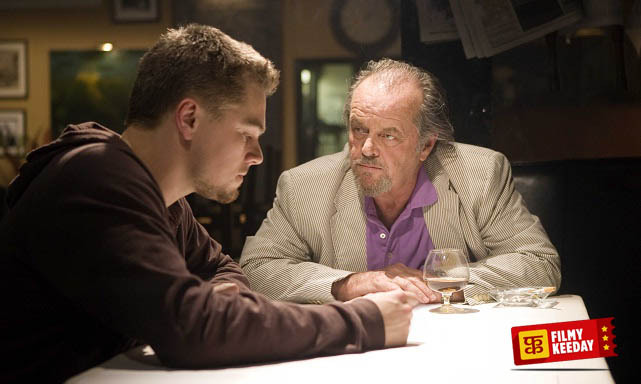 A huge success and winner of multiple awards, The Departed won four Oscars including the best picture & the best director. 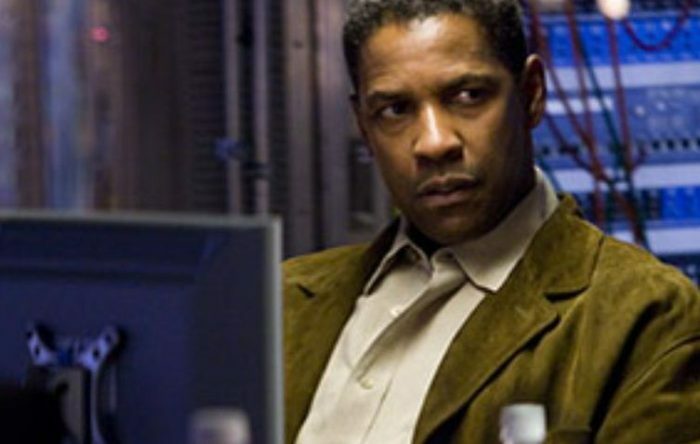 If there is another actor who is good at playing the savior, it’s definitely Denzel Washington. He plays the role of an ATF agent who travels back in time to prevent a terrorist attack as well as to save the girl he loves. This Tony Scott direction was not a huge hit in Hollywood but it’s still a decent watch for Denzel Washington fans. Liam Neeson is a natural when it comes to playing the savior, the hero, the father figure. 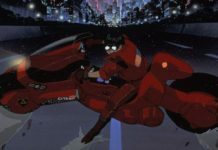 Combine that with pump action sequences and the heightened anticipation-anxieties of a suspense thriller, you get Taken. 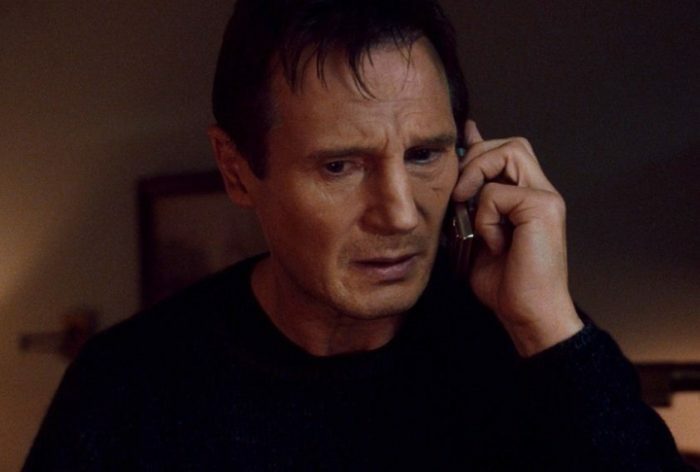 Directed by Pierre Morel, Taken is considered a turning point in Neeson’s career-redefining him as an action star. MindHunters is a good one time watch by Renny Harlin. 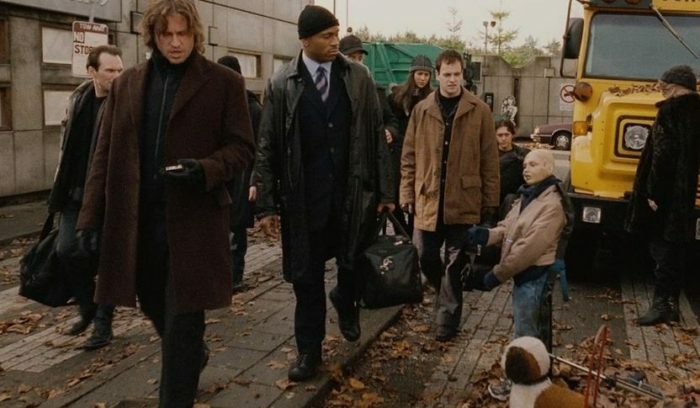 In this 2004 crime thriller, a number of interesting characters with unique skill sets are put together as trainees in a psychological profiling program of the FBI. And they must use their skills to survive as well as figure out the killer that is in their midst. Featuring an ensemble cast including Jonny Lee Miller, LL Cool J, Patricia Velásquez, Christian Slater and Val Kilmer, Mind Hunters is a good watch when you are in the mood for some thrilling action. Wanted combines fast action with suspenseful elements beautifully. When versatile actors James McAvoy & Angelina Jolie come under the wing of Morgan Freeman, all in badass roles, the movie becomes a sure watch for action lovers. A bored office worker finds his calling as a master assassin when he is taken under the wing of a clan of assassins with an agenda. Lots of gunfights & explosions in this Timur Bekmambetov direction makes Wanted a highly entertaining action-thriller. 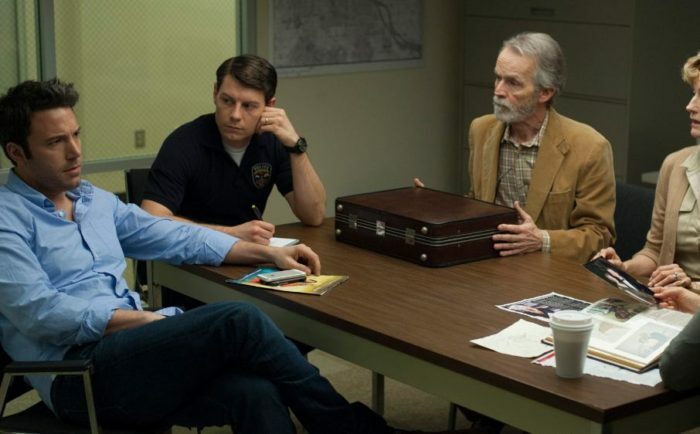 Taking an infamous real crime story of Northern California, Zodiac is one more highly successful mystery thriller from the arsenal of David Fincher. It is Film about a serial killer who called himself the zodiac killer. Clues, ciphers, and more clues is what this film is all about. 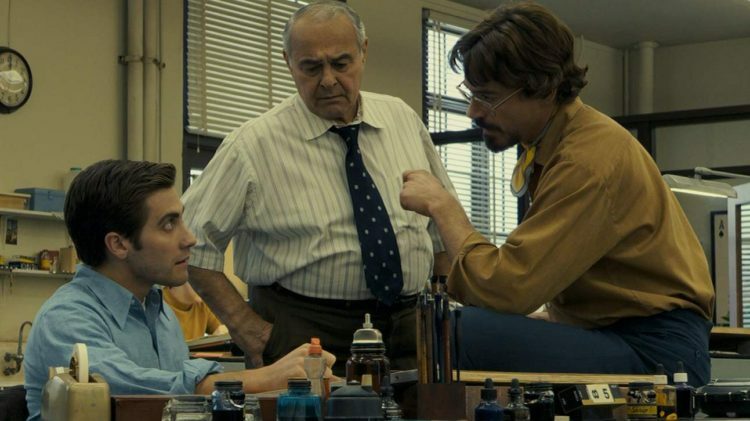 Containing an ensemble cast which includes Jake Gyllenhaal, Mark Ruffalo & Robert Downey Jr., Zodiac has been reviewed very positively. Gone Girl is a 2014 psychological thriller directed by David Fincher and starring Ben Affleck & Rosamund Pike as a married couple. This is a gripping & devious tale of the sudden disappearance of the wife and the struggle of the accused husband to prove his innocence. 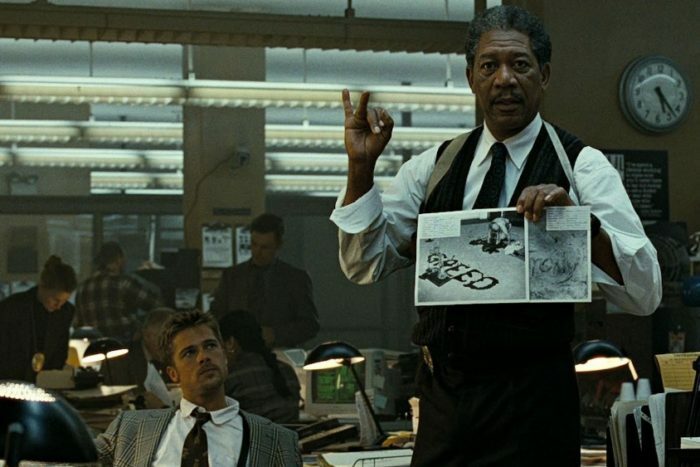 This was a critical & commercial success and is the highest grossing film by Fincher so far. Primal Fear tells the story of an attorney defending his altar boy client, who is accused of murdering an influential Archbishop. 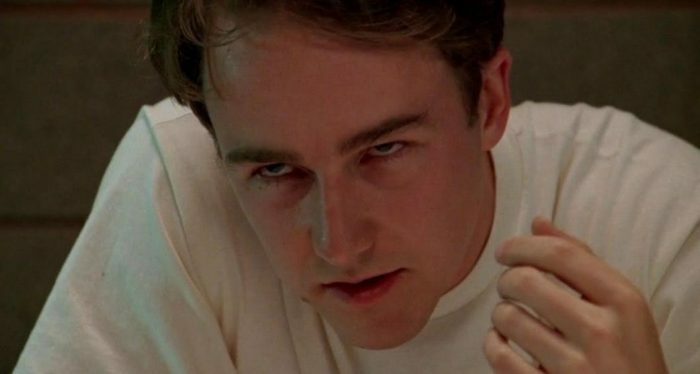 Though all the actors such as Richard Gere, Laura Linney, John Mahoney have performed beautifully in the film, the real show stealer here is then young actor Edward Norton, who captivates the audience through his innocent charm. This Gregory Hoblit direction was a sizable hit in 1996. 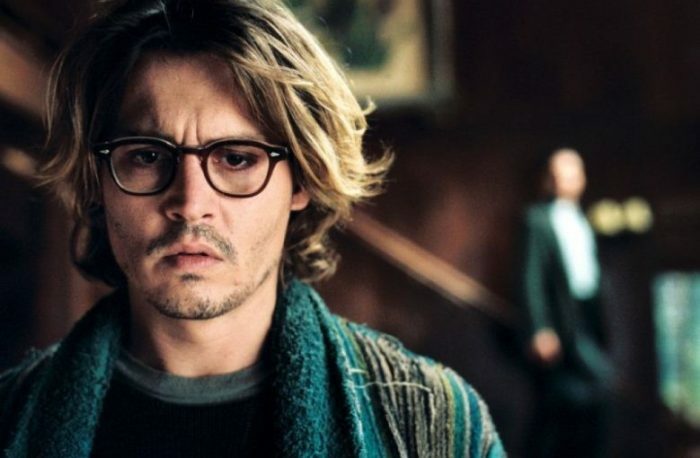 Based on the short novel by Stephen King, Secret Window is a 2004 psychological thriller directed by David Koepp and starring Johny Depp. It tells the story of a writer who is hounded by a mysterious man who accuses him of plagiarism. The movie was a modest success and a good watch for Depp fans. 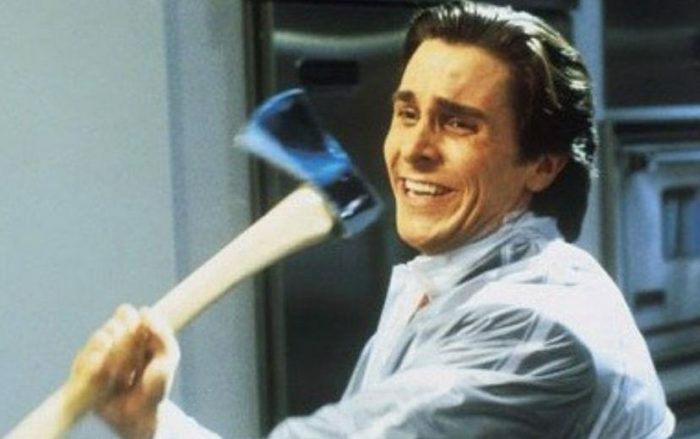 Mary Harron directs the gripping black comedy-thriller, American Psycho. A wealthy urban professional hides his murderous fantasies from the rest of the world, while losing himself more & more into his acts. This film shows the consequences of a highly competitive corporate culture in a creative way. Also starring Jared Leto & Willem Dafoe, Bale’s performance has especially been lauded in American Psycho. If you are Looking for Murder Mysteries and Whodunit Movies check our Whodunit Movies list. 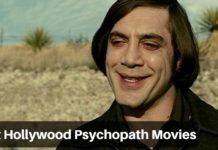 Our team has curated the list of best Hollywood thriller movies, now you can share your favorite Hollywood mystery movies in the comment section.